The day Lindie was born we grieved for a few reasons. One of the reasons was for Eliza. 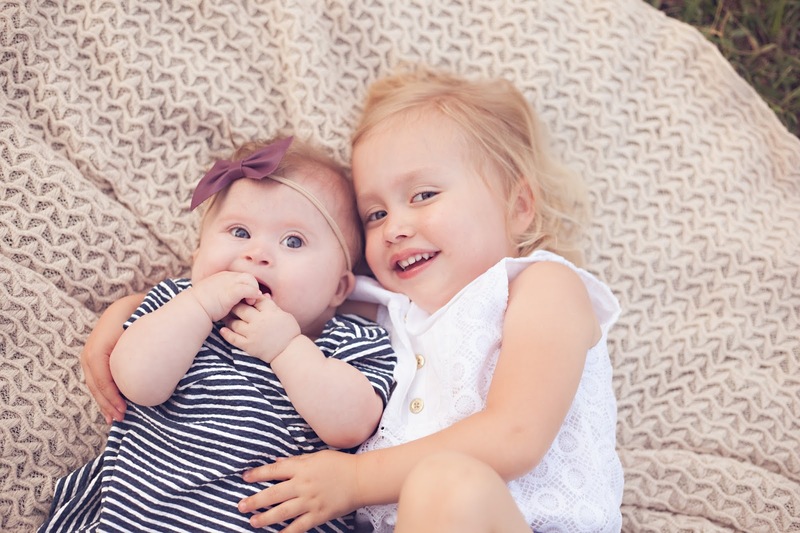 We grieved the relationship we had expected our daughters would have. Even thinking about it now, it's silly really. The dreams I had for my daughters, regardless of their genetics. Because regardless of genetics we have no control over our daughters lives and relationships and future. We are not guaranteed tomorrow. And yet there has also been so much beauty in watching their relationship flourish. No, their relationship will not be what I expected it would look like twenty or thirty years from now, but their relationship right now is beautiful and rich. And I have no doubt that twenty or thirty years from now (God-willing) their relationship will continue to be beautiful and rich in different ways. There are things I see in my girls that make me believe that the Lord gifted them to fit each other perfectly. Eliza is compassionate, outgoing and so inclusive. 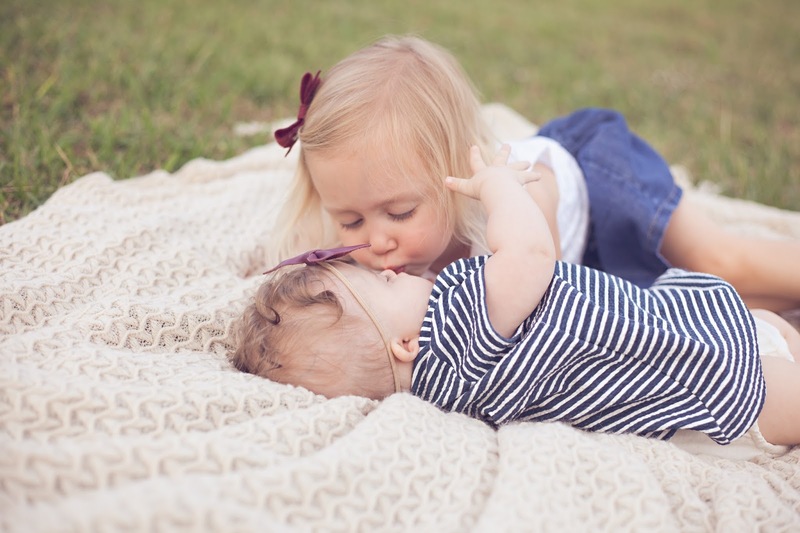 Those qualities will make her a great big sister for Lindie. 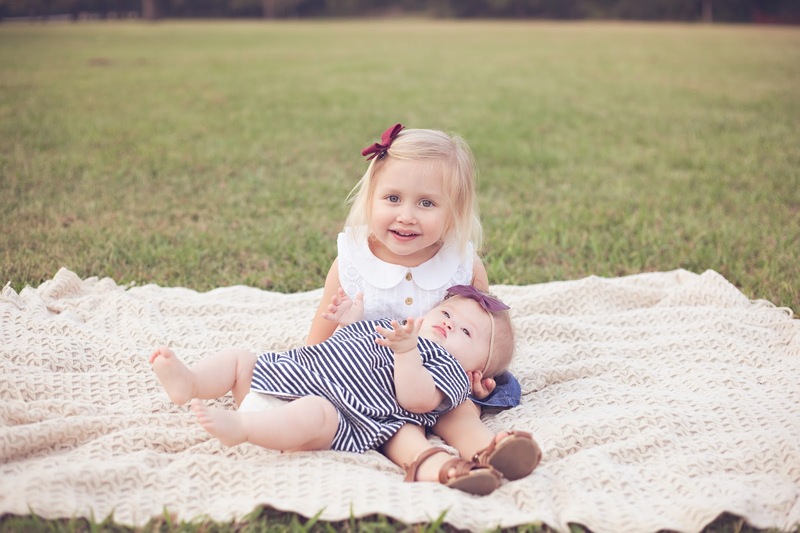 Lindie is joyous and easy-going and her face lights up when she hears or sees her sister. Those qualities will make her a great younger sister. Eliza will be a better Eliza for having Lindie as a sister. And Lindie will be a better Lindie for having Eliza as a sister. I am positive of that. It's also interesting to me that according to research the majority of siblings to individuals with Down syndrome are proud of their siblings and would not choose to change them if they could. That's hopeful. My prayer for them is that they both love each other fiercely and that one day they spur one another on in their love for the Lord. Because at the end of the day, that's the goal for our children- that they would know and love the Lord and help others to know and love the Lord. Thank you Jesus for both of my girls. Parents or siblings ahead of me in the journey-- any thoughts or words of encouragement on this topic? I'd love to hear! 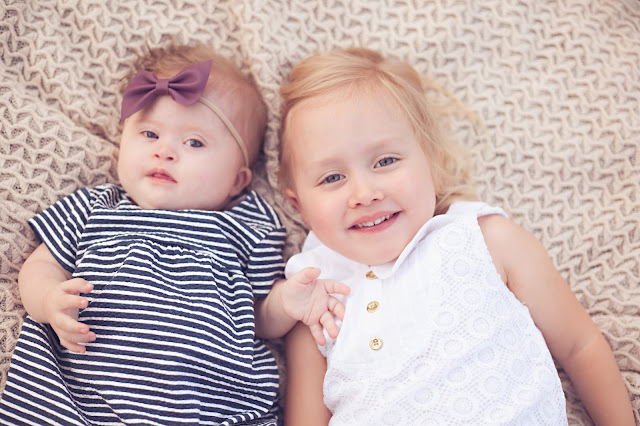 Rosie and Fern are so wonderful as sisters!